Chechen-born Abu Bakr al-Shishani, leader of the Ahrar ash-Sham terrorist group, was reportedly killed in a Russian airstrike. A prominent terrorist leader was reportedly killed by a Russian airstrike in Syria's Homs province, a Syrian military source told Sputnik Thursday. Initial reports suggest it could be Chechen-born militant Abu Bakr al-Shishani. "A group of militants, including the leader of Jaish al-Sham terrorist group, Chechen native Abu Bakr al-Shishani, was eliminated on October 14 as a result of a Russian airstrike in the Homs province," the source said. Earlier today SANA, Syria’s national news agency, reported that the Syrian army had destroyed another leader of Ahrar ash-Sham, sheikh Omar Mustafa al-Khodr and his top aide Khaled Abu Anas. 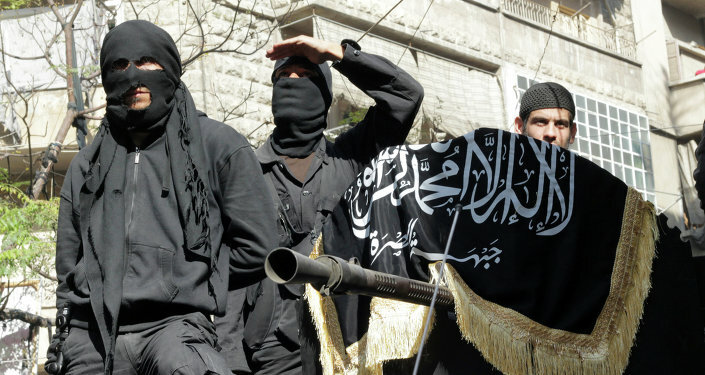 Ahrar ash-Sham is the second largest terrorist group within the Jaish al-Fatah movement after the al-Nusra Front. In the spring of 2015, it was one of the militant groups which took over Ariha, Idlib, and Jisr al-Shughur in Syria's northwest, carrying out mass executions of locals. Since September 30, Russia has been undertaking airstrikes on the Islamic State positions in Syria following a request by the country's internationally recognized government.